Microorganisms play a significant role in the remediation of soil contaminated with heavy metals. Aspergillus aculeatus (A. aculeatus), which was isolated from the metal polluted rhizosphere soil of bermudagrass in Hunan Province, belongs to the genus Aspergillus. It has been shown to increase the tolerance of turfgrasses to Cd stress. Therefore, A. aculeatus might be potentially applied to remediate Cd-contaminated soil and improve plant tolerance to Cd. A better understanding of the characteristics of A. aculeatus is a critical prerequisite for the development of effective phytoremediation of Cd-contaminated soils. 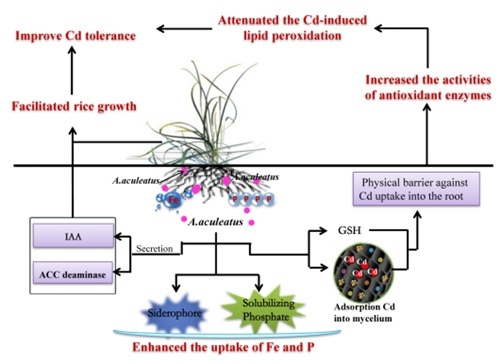 Supervised by Prof. FU Jinmin, XIE Yan, a research assistant of Wuhan Botanical Garden, assessed the tolerance, biosorption capacity for Cd and surface characteristics of this fungus, and investigated the A. aculeatus-mediated protective plant responses to Cd stress in rice. A. aculeatus–inoculated plants attenuated the Cd-induced lipid peroxidation and increased the activities of antioxidant enzymes in rice roots under Cd stress conditions. 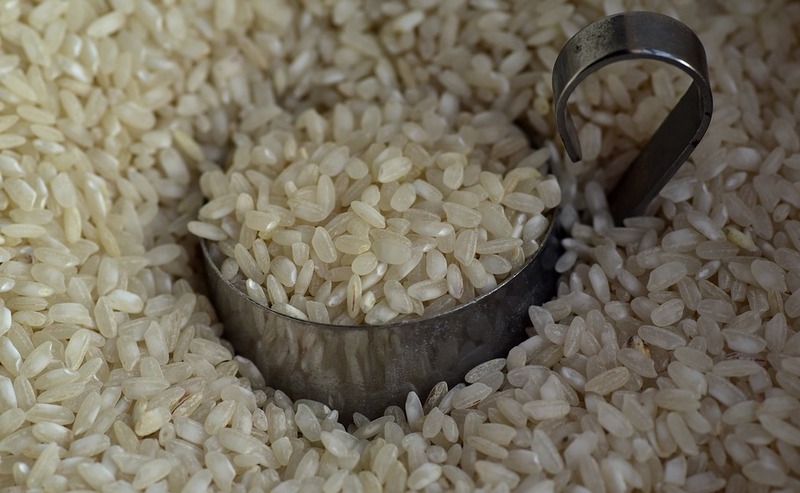 Based on the results, we deduced that differences in Cd tolerance in rice inoculated with A. aculeatus might be explained by the following mechanisms: A. aculeatus may have stimulated plant growth by synthesis of indole acetic acid, siderophore and 1-aminocyclopropane-1-carboxylate deaminase activity; A. aculeatus provided a physical barrier against Cd uptake into the roots by adsorbing more Cd into mycelium; and A. aculeatus increased the activity of antioxidants, which could decrease reactive oxygen species concentrations under Cd stress condition. Since A. aculeatus can easily be propagated in axenic culture on a large scale, we emphasize the high potential of the fungus in protecting crops against Cd stress. This research was financially supported by the National Natural Science Foundation of China and by the Chinese Academy of Sciences under the STS subject entitled "Utilization of plant resources and industrial development of forage grass in coastal saline soil". Results have been published in Ecotoxicology and Environmental Safety entitled "Characterization of the Cd-resistant fungus Aspergillus aculeatus and its potential for increasing the antioxidant activity and photosynthetic efficiency of rice".